Wentworth’s probe card manufacturing equipment enables you to bring probe card support into your own facility. 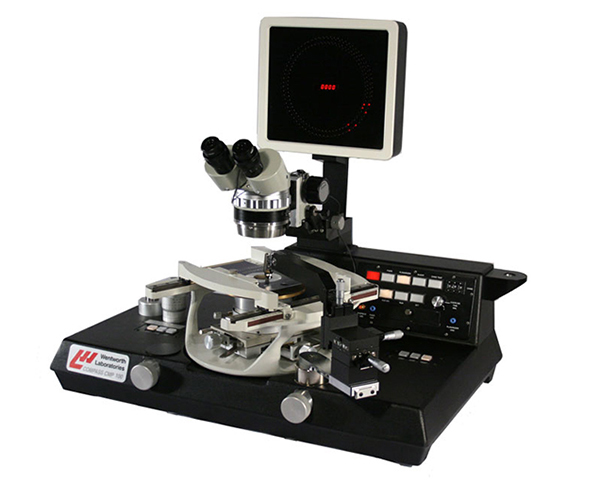 The Compass test station is a high precision tool for maintenance, repair and test of blade or epoxy probe cards. Productivity-boosting technology enables operators to check and adjust probe alignment and planarity. In addition, it facilitates the processes of cleaning and accurately checking the resistance of the probe tips. Why choose the COMPass Test sTation? The Compass probe card manufacturing equipment is designed for the build, maintenance and test of blade and epoxy cantilever probe cards. It enables the operator to easily align, planarize and replace probes. The test station’s 360° rotating 6″ wafer vacuum chuck allows for easy access to all probe card areas, and can be easily locked in place to provide a stable assembly platform. An in-built planarizer indicates which probes are making contact to assist the process of planarizing. The overdrive can be adjusted to replicate the wafer prober overdrive to ensure scrub mark accuracy. In addition, an integrated Ohms tester measures contact resistance. Thanks to a probe card holder suitable for sizes ranging from 4.5″ to 10″, the test station accommodates a wide variety of probe cards. 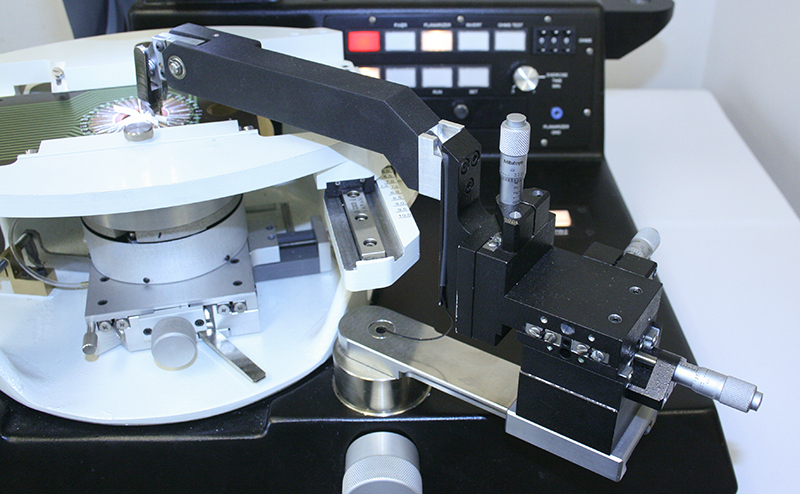 Using a specially designed gripper arm, the Compass test station can support the full build of blade probe cards using Wentworth supplied blade needles. The arm can be mounted on the right or left of the station to support left and right handed working. It’s designed to hold the blade needle during the positioning and soldering processes and can be easily removed for better access during the planarization stage.